A recent report published by CB Insights shows that funding for ageing-related companies has far surpassed previous years. It comes at a time where scientists are understanding more about how humans age and how targeting different elements of ageing could slow the progression of diseases like heart disease, cancer, and diabetes. 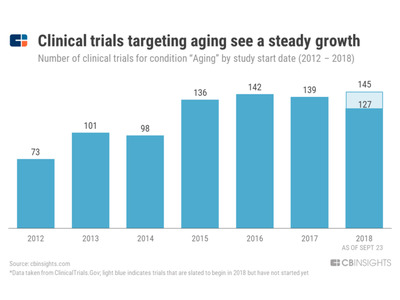 Here are the major venture firms, investors, and pharmaceutical companies putting money into advancing anti-ageing research and treatments. Funding in the anti-ageing field is at an all-time high. Investors have bet $US850 million on ageing and longevity startups so far this year, according to a recent CB Insights report. There’s been tremendous growth recently. That’s up from $US324 million last year, and almost nothing before 2016. The burgeoning interest in anti-ageing treatments has been fuelled by growing scientific knowledge about how the ageing process works. In fact, in 2013, the journal Cell published a paper that outlined the nine key biologic hallmarks implicated in ageing. Since then, scientists have been working to develop drugs to tackle specific features of ageing. Even the National Institutes of Health carved out a department dedicated to ageing research.NIH believes that ageing is the common factor underlying diseases like Alzheimer’s, heart disease, cancer, and diabetes. By solving ageing, scientists could in turn create a universal cure for all of these diseases, the thinking goes. More funding translates to greater capacity for research and more clinical trials. In 2015, there was a jump in the number of clinical trials targeting ageing, and over the last 3 years, that number has held steady around that new high. A record amount of funding flowed into companies involved in the ageing area this year, according to the report. This includes Samumed’s recent fundraising round that raised $US438 million. The company wants to use stem cells to regenerate hair, skin, bones, and joints. Their lead product is a treatment for osteoarthritis. 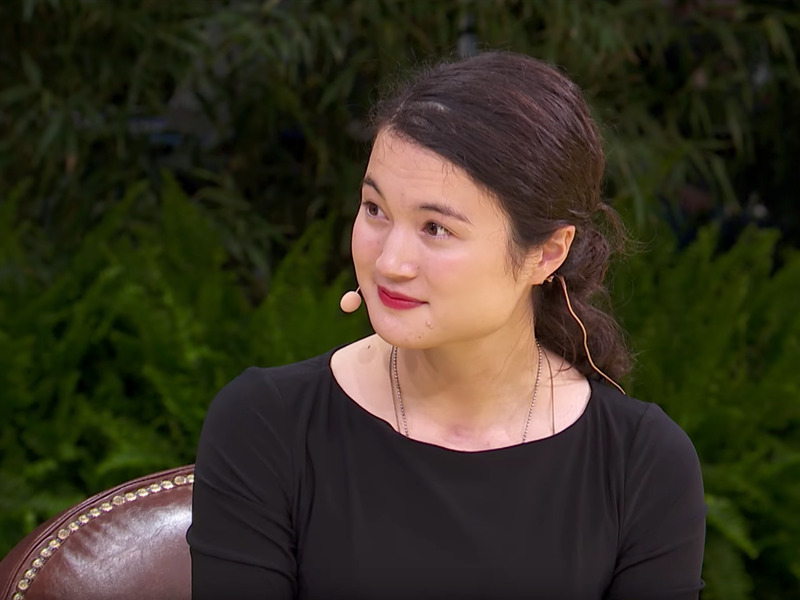 One notable venture capital firm investing in the longevity space is The Longevity Fund headed by 24-year-old Laura Deming, according to the report. It manages $US37 million, and to date the the companies it has invested in have gone on to raise a combined $US500 million. Longevity Fund has invested in Unity Biotechnology, which spun out from Mayo Clinic. Its research into a class of drugs called senolytics, which kill off zombie-like pre-cancerous cells that accumulate in aged and damaged tissue, entered human trials in June and has the potential to disrupt multibillion-dollar franchises like AbbVie’s Humira and Amgen’s Enbrel, according to analysts at Citi. Unity is also backed by Jeff Bezos. 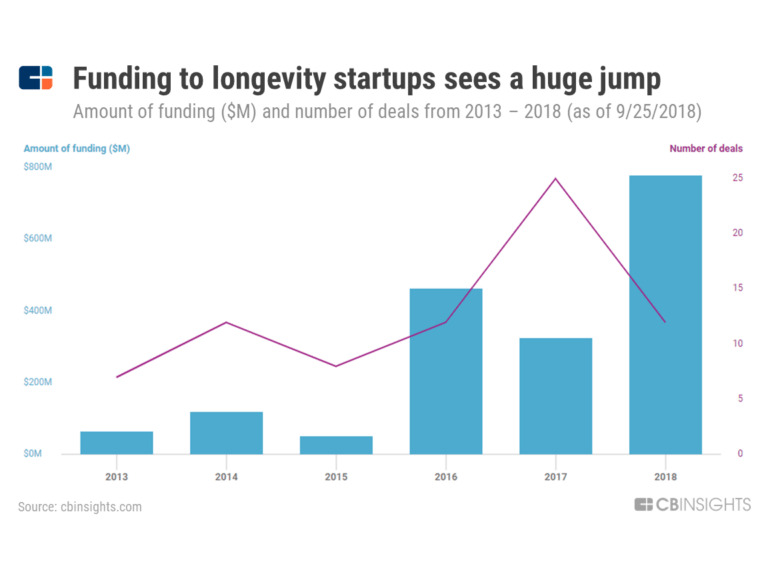 British billionaire Jim Mellon is also a prominent angel investor in ageing-related startups, according to CB Insights, backing companies including Juvenescence, Insilico Medicine, and AgeX Therapeutics. Of the major pharmaceutical companies, Novartis and Celgene are the two main ones investing in ageing research. Novartis recently conducted a study on a drug similar to rapamycin, to see how it affected elderly patients’ immune response and risk for infection. The results showed that the patients’ rate of respiratory infections went down by more than 65% during winter cold and flu season. The research and the subsequent drugs are being developed by spin-off company resTORbio, in which Novartis has a 15% stake. Celgene also had a spin-off of its own: Celularity, which wants to use placental stem cells to promote longevity and treat conditions like cancer and autoimmune disease. The startup raised $US250 million in February.